How Does Attic Ventilation Affect Your Roof? / Blog / Roofing / How Does Attic Ventilation Affect Your Roof? Proper attic ventilation plays a critical role in the long-term performance of your roof. In many cases, the lack of good attic ventilation voids the warranty of shingles if it results in damage. There are many options available to allow proper air flow in your attic space. Moss Roofing, the leading company for roofing services and siding replacement, discusses several solutions. It is important to think about where the air is going to enter and exit before you install any system of ventilation. Review the soffit areas of your home for soffit vents. This option allows for convective air movement from the soffits to the ridge vent. 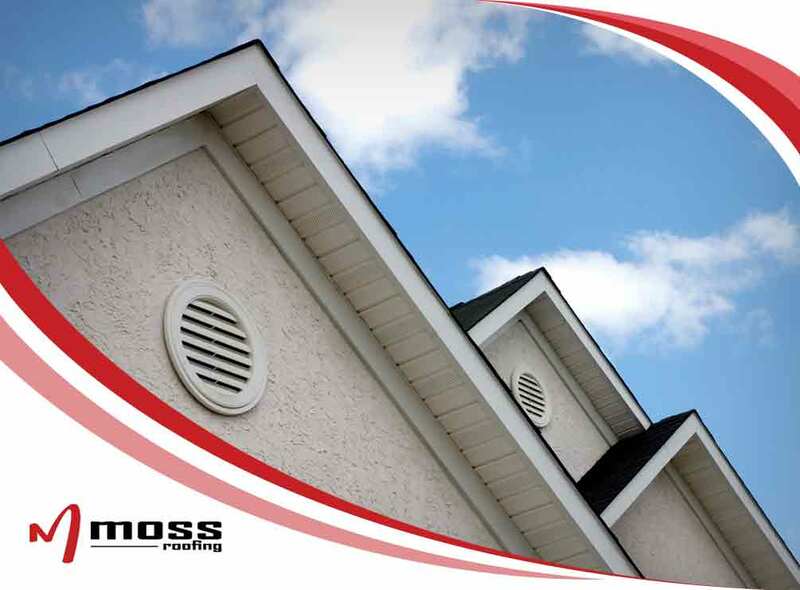 When you schedule a roof repair, your professional roofing contractor like Moss Roofing can confirm if you have adequate ventilation. They may recommend installing a ridge vent. This is a ventilation strip that is applied along the ridge line of the home. Be aware of any framing members of the structure that could impede air movement. These vents are placed in the gable ends of the home. They permit air to be drawn out of the attic space while stopping moisture from rain and snow from blowing back into the room. You can have fans and vents installed on the roof system itself. This will exhaust the air out from the attic space. You can control this equipment with a switch or a thermostat that detects heat build-up. There are also solar-powered solutions available if you want to save on your utility bills. Ventilation can extend the life of your roof and improve its performance. Be sure to explore your options with a trusted roofing contractor. Moss Roofing offers siding repair and roofing service you can trust. Call us at (317) 207-4778 or fill out our contact form to get a free estimate. We serve clients in Fishers and Indianapolis, IN, as well as any nearby communities.